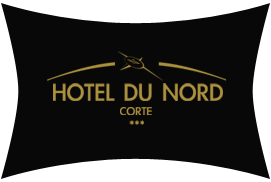 The entire content of this website (hoteldunord-corte.com) is copyrighted under USA copyright law. You may print and download portions of material from the different areas of the Web Site solely for your own use. Any other copying, redistribution, retransmission or publication of any downloaded material, is strictly prohibited without the express written consent of the site owner.